Tipperary Man In Legal War With Hewlett-Packard. 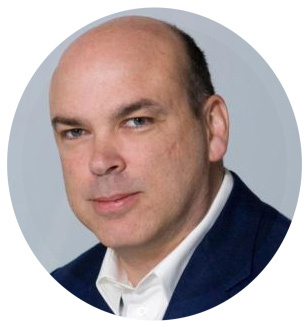 Mike Lynch – Founder of Autonomy. A Carrick-on-Suir, Co. Tipperary born technology entrepreneur, Mr Mike Lynch, stands accused of artificially inflating revenues at his UK software company ‘Autonomy’, before selling it on to the American multinational information technology company Hewlett Packard (HP) for a reported $11bn (€9.7bn); the California head-quartered firm’s lawyer has informed a London court. HP is suing the companies founder Mr Mike Lynch and his finance director Mr Sushovan Hussain for over $5bn in damages, over their management of Autonomy, founded in the early 1990’s on the back of his University of Cambridge doctoral thesis. Mr Lynch, who in 2006 was named a non-executive director of the BBC and awarded an OBE, strongly denies any wrongdoing, and stated that the contents of HP’s claim were “a simple rehash of previous leaks and insinuations that add up to one long disagreement over accounting treatment”. In 2008 the technology used by Autonomy played a key role in tracking down the rogue Société Générale trader Jérôme Kerviel, latter a French trader who was convicted and imprisoned for the 2008 Société Générale trading loss, for breach of trust, forgery and unauthorized use of the bank’s computers, resulting in losses valued at €4.9 billion. Kerviel’s trial began on June 8th 2010 and on October 5th 2010, he was found guilty and sentenced to five years in prison, with the last two years suspended. HP have since written down the value of Autonomy by some $8.8bn, stating that serious accounting improprieties had been uncovered since their purchase. HP believed it had acquired a rapidly growing software company gaining market share, but it has since discovered that the contrary was the true case. HP now believe it overpaid the English based software group by some $5bn (£3.2bn). London’s High Court case continues. 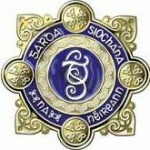 CAB Carry Out Money Laundering Searches In Tipperary. 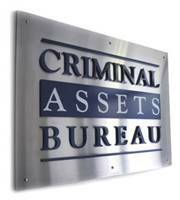 The Criminal Assets Bureau has seized 115 cars, including Mercedes and BMWs, together with €43,000 in cash and £1,000 in sterling and a Rolex watch as part of their investigation into money laundering by a drugs gang in the mid-west region. A further bank account, with over €30,000 has also been frozen, under the Money Laundering and Terrorist Financing Act. Documentation in relation to the financing and ownership of assets, mobile phones and electronic storage devices have also been seized in eight searches. The eight searches were carried out yesterday in counties Tipperary, Limerick and Dublin, with the motor vehicles removed from the forecourt of a car sales company in Limerick. Two car sales businesses, two private homes and four professional offices including those of Solicitors, Accountants and a Finance Company in Tipperary, Limerick and Dublin were also searched. One member of An Garda Síochána, latter suspected of leaking confidential information regarding the ongoing CAB investigation to the criminal gang; together with a senior businessman linked to the motor trade, have also been arrested and are being questioned. Mr Ross Outram, aged 28 years, from Ferryland, Waterford Road, Clonmel, in Co. Tipperary has today been sentenced to life in prison for the murder of Waterford pensioner and retired dairy farmer Mr Paddy Lyons. His 90-year-old victim had been found slumped in an armchair at his home near Lismore, Co Waterford two years ago and his murder was described by the prosecution earlier as a ‘vicious and sustained attack’ on a completely defenceless elderly man. It took a jury, of eight men and four women, just three-and-a-half hours, before returning a unanimous guilty verdict. Mr Justice Paul Coffey then thanked the jury for their care and ‘exemplary’ attention in what he stated was a ‘long and difficult case’. He also excused them from further jury duties for the next 15 years. The prosecution contended that this was a most violent robbery; performed in the middle of the night by a young, strong 26-year-old man, against a 90-year-old friendly, trusting man, with a non-functioning arm, latter in receipt of ‘Home Help’. Mr Outram believed that Mr Lyons had cash in his possession and the former was going to relieve him of it. Mr Outram informed Gardaí that he had consumed 100 Xanax tablets on that day, and that he was forced to fight back after Mr Lyons struck him with a walking stick and a shovel. Mr Outram did had injuries including marks on his hands, bruising to the inside of his thigh and he claimed he had lumps on his head. The trial heard that Mr Paddy Lyons was in fact restricted to limited use of his right arm and could only keep it in one position. Mr Outram had denied murdering Mr Paddy Lyons at some time between February 23rd and February 26th of 2017, claiming self-defence. His victim had suffered multiple blows to the head and neck from a blunt weapon causing blunt force trauma to his body. The 90 year old suffered traumatic brain injury and shock, due to fractures of his hip joint, jawbone and ribs. Following today’s verdict, lawyers for Mr Outram informed the court that the latter had apologises for having killed Mr Lyons and that he is “deeply remorseful”.